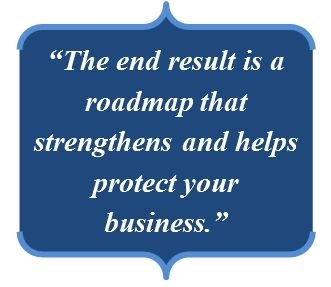 Solid businesses are built through effective planning. Be confident in the long-term success of your organization with business planning strategies by Pinnacle Group. We partner with business owners and executives to address unique financial issues that can directly impact growth and stability, including corporate financial planning, risk management assessments, employee benefit plans that support recruitment and retention, and more. How would the death, disability or retirement of a key employee or owner impact the success of your organization and its various stakeholders? Developing an understanding of your unique business succession risks, concerns and objectives is the first step. We will work with you and your advisors to develop and implement strategies and solutions that meet your goals. We provide guidance in identifying and implementing special benefit plans that support your strategies to help recruit and retain your key employees. Providing employer-sponsored financial planning services for owners and key employees can be a valuable employee benefit. It provides the opportunity to help your key employees with their financial confidence. It also helps to strengthen the relationship with your top employees. We help you to identify the risk associated with death, disability and retirement of your key employees. Many times it impacts more than you think. We create solutions to manage the impact of that risk. We help assist you and your advisors in identifying the type of retirement plans that are appropriate for your business. This includes 401(k) plans, profit-sharing plans, Simple IRA plans and other specialized plans.